Fits Fujifilm X-A3, X-A5 camera. Improves the grip on the camera and reduces the chances of camera shake, especially when using heavy, large aperture lenses. 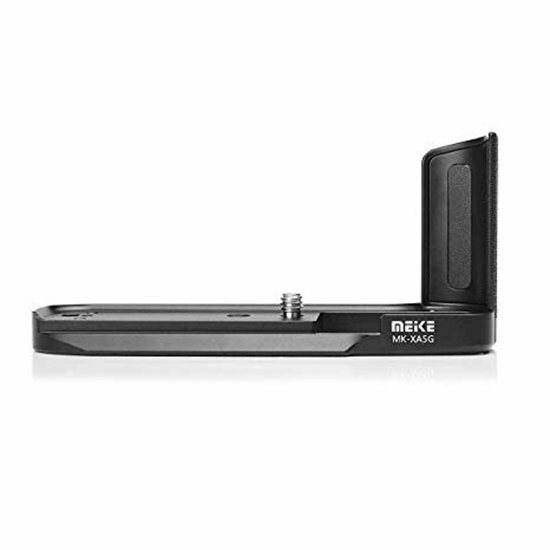 This grip can be left in place when using a tripod and user can change the battery and SD card without having to remove the grip from the body. The Arca Swiss plate can be used as a quick release with compatible tripods. The Hand Grip incorporated standard 1/4" tripod screw mount at the base of the grip. Enhanced Handling and Camera Control.